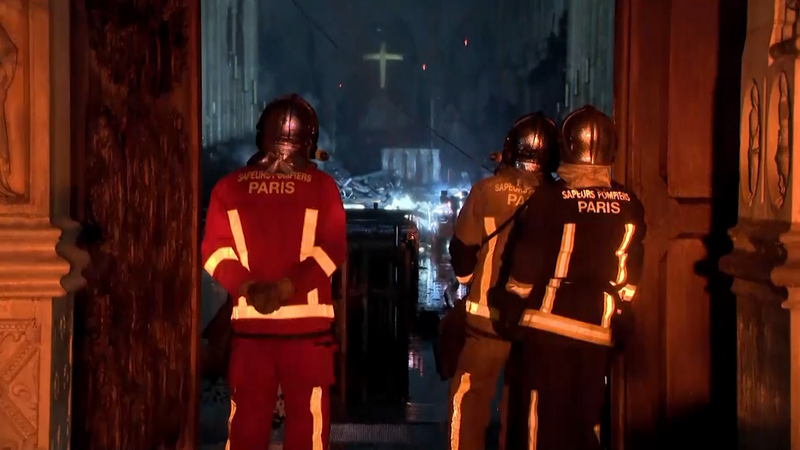 Video from Monday night shows firefighters surveying the damage inside Paris’ fire-ravaged Notre-Dame Cathedral. Firefighters have now declared success in their battle to extinguish the fire, which swept across the top of the Paris landmark, collapsing its spire. In the interior footage smouldering ashes can be seen – along with red embers falling from the roof.